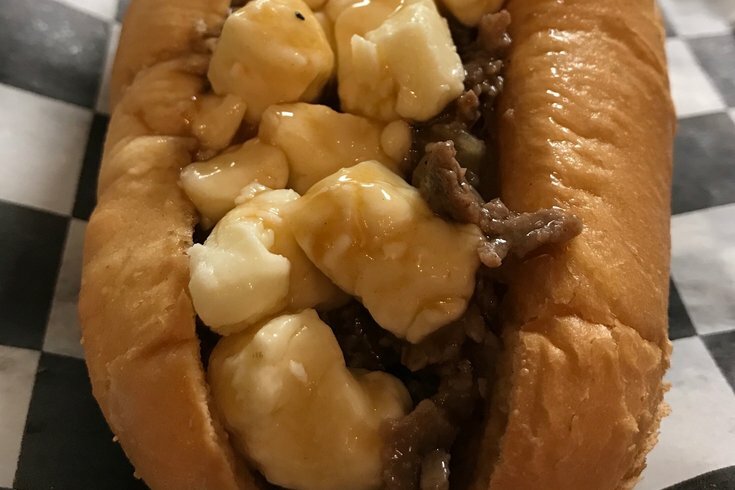 What do you think of the poutine cheesesteak? A Philly favorite and a Canadian classic are combining on Thursday, Sept. 28. Say hello to the poutine cheesesteak. Poutine, a dish originally from Quebec, is traditionally made with french fries and cheese curds topped with gravy. For the mashup, Pat's King of Steaks' ribeye will take the place of the french fries. The roll will also be from Pat's. RELATED: South Philly SausageFest returns for third year | Mark Zuckerberg came to Philadelphia for "the best cheesesteak in the land"
The concoction was created by Shoo Fry, which has locations in Rittenhouse and Fishtown, for the Pat's Guest Chef Series to benefit Spread the Whiz Foundation. Poutine cheesesteaks will be sold for $10 from noon to 9 p.m. at Pat's. There will also be classic poutine, using Pat’s fries, for $10. All proceeds will benefit the foundation, which aims to "educate, inform and demonstrate healthy eating habits and nutrition in school-aged children through artistic and cooking expressions." Marc Vetri and Jose Garces were the first chefs to participate in the Guest Chef Series.